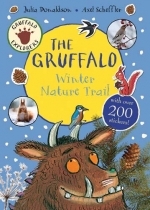 Calling all nature explorers to go outside with the Gruffalo! 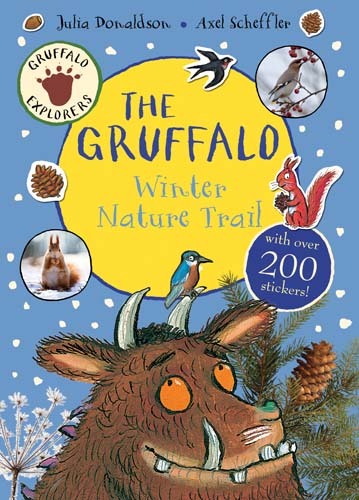 Don't forget to take Gruffalo Explorers: The Gruffalo Winter Nature Trail with you and keep your eyes peeled. Learn all about nature with this colourful spotters' guide, packed with fun, winter-themed indoor and outdoor activities and hundreds of stickers - a brilliant book for all the family.This handily sized activity book is suitable for even the youngest nature lovers and fans of Julia Donaldson and Axel Scheffler's much-loved character, and is full of great activities that are based around seeing and engaging with nature and the outside world. This fun wintertime sticker activity book is about stopping, seeing, listening and collecting in a way that's accessible and fun, with activities that link into the Early Years Foundation Stage (EYFS) of the curriculum.